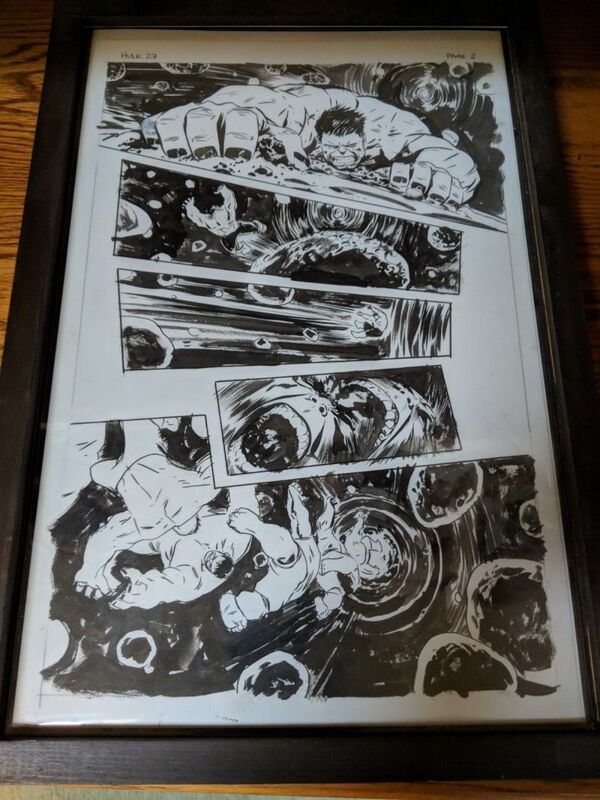 So I just got this Kael Ngu piece. I really like his stuff and think he’s an up and coming artist. Check out his art. I think you will be impressed. I went to the Long Beach Comic Con today. Picked up 2 pieces of art. I got home and another was waiting by the front door via UPS. 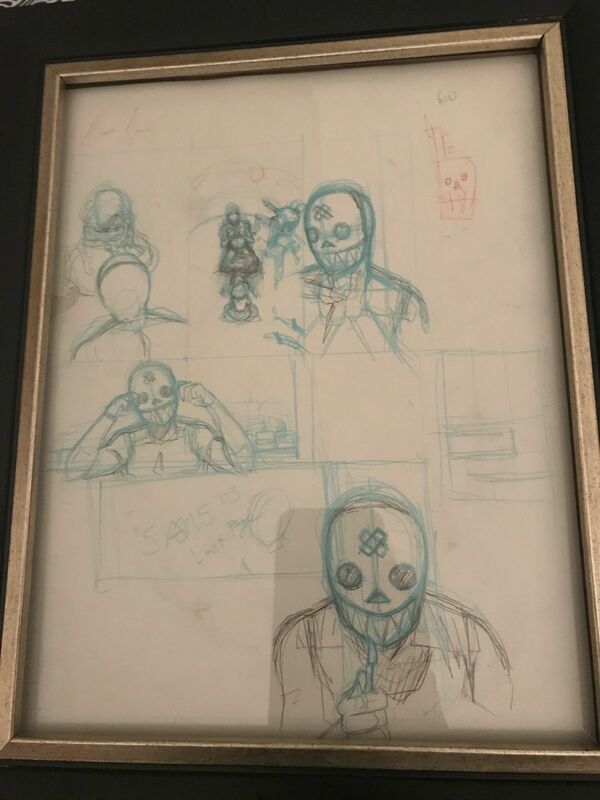 New Art Day - Castle Waiting, Volume 2, Chapter 8 (last three pages) by Linda Medley. Linda Medley created Castle Waiting as a way to explore her interest in what happened to the background characters while the protagonists lived "happily ever after." Recently, she decided to sell the two books by the chapter. A friend of mine and I decided to buy one and divy it up between ourselves and a few friends. I chose the last three pages in the book. At this point of the story, Lady Jain is looking for a quiet place within the castle to make her own. With some help, she actually discovers an entirely new section. Several things attracted me to these pages - chief among them is the expressions shown. Jain is thrilled to explore the new area knowing that her child will be safe with her friends. Linda captures the joy of this very young woman freed temporarily of the responsibility of caring for her child. I can "grok" that. Click the image to see the CAF entry. 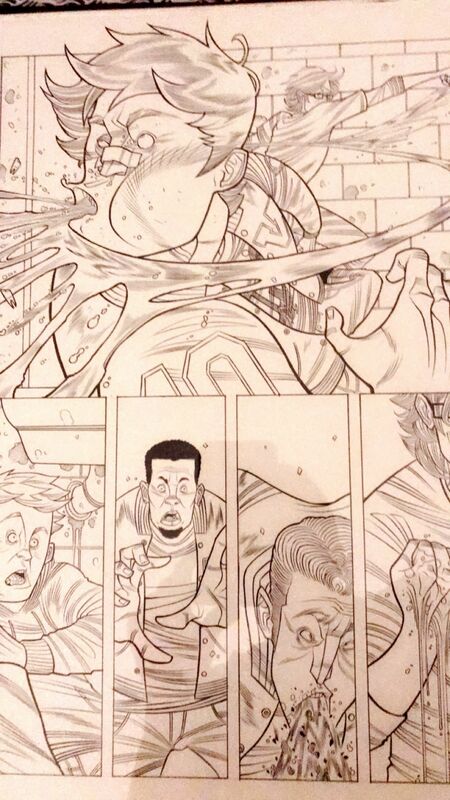 The final page of the Strange Talent of Luther Strode #1. Found this today. A 9-11 Tribute to remember victims and honor heroes. 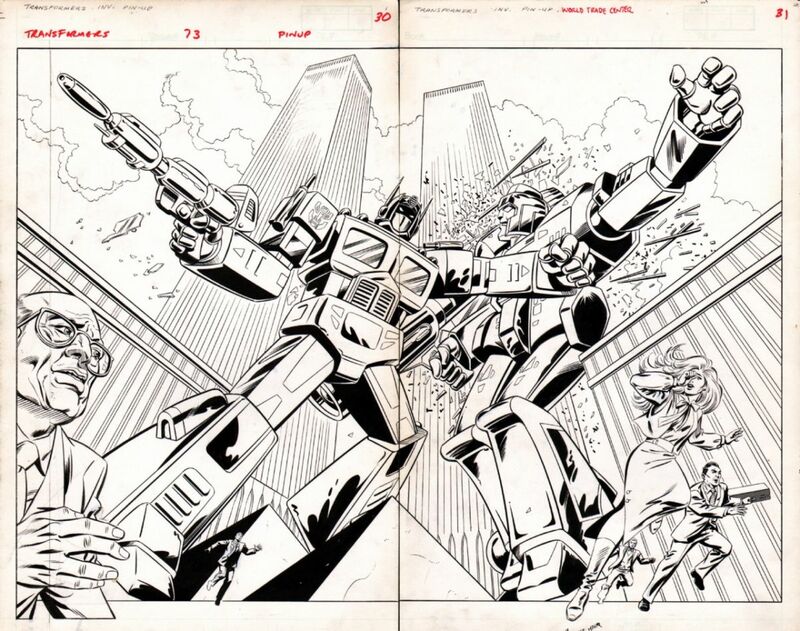 Here is the famous Transformers #73 DPS with Optimus Prime vs. Megatron battling under the "Twin Towers"...'nuff said. A new addition to my CAF Gallery...Galactus and the Silver Surfer! Another addition to my CAF Gallery....Superman! Picked up this Jack Kirby Silver Surfer penciled commission. It’s only around 75% by Jack according to Mark Evanier but it’s still a nice piece. Love it, what is the size? Addition last week! Early AH! Added a psychedelic Richard Corben Page on CAF. I’ll also be picking this up from the previous owner. 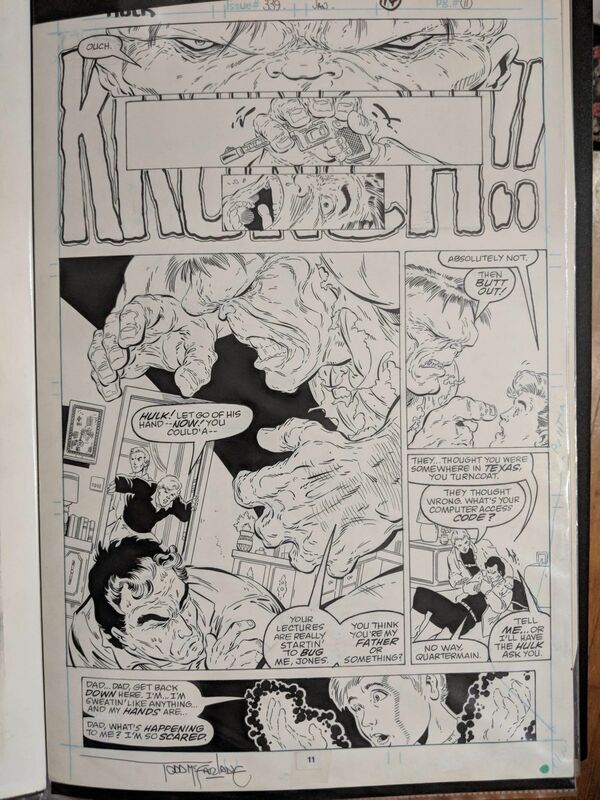 In my opinion, one of the nicer Hulk Mcfarlane interior Pages I seen recently. Follow up. I just received this and the funny thing is the prices on the back. A long cry from these prices. Adding some zeros would be more in line nowadays. Art day! Todd McFarlane Hulk! Todd is best known for Spidey but I really enjoyed his run on Hulk, so I'm always glad to add more pages. 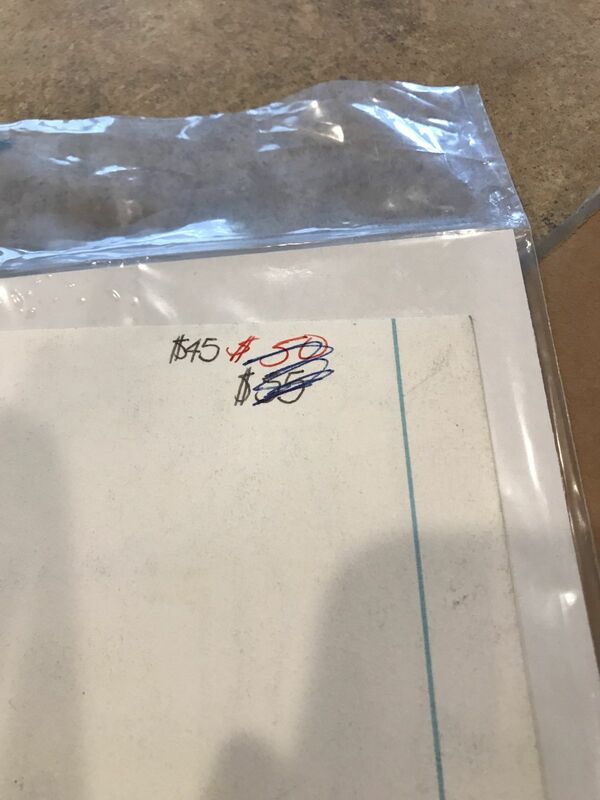 I'll pay you the $55 for it, make yourself a nice $10 profit.